It was a suspenseful January night as a man suspected of trying to rob a woman at knife point was instead shot by the would-be victim in Louisville, Kentucky. LOUISVILLE (KABC) -- It was a suspenseful January night as a man suspected of trying to rob a woman at knife point was instead shot by the would-be victim in Louisville, Kentucky. Police said a man was captured on surveillance camera stalking the woman. He eventually follows right behind as she heads into an elevator at a parking garage. There is no surveillance camera rolling when he eventually attacks her in the parking lot. Police said she got in her car, he pushed in right behind her and put his hand over her mouth before pulling out a knife. A violent struggle ensued, causing the car's windshield to crack. It was in that moment that the woman reached into her purse and pulled out a gun. The would-be victim shot the suspect in the neck. 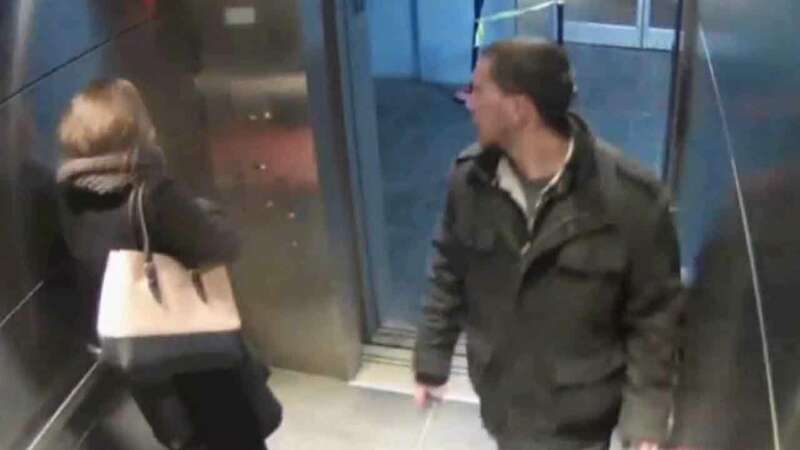 The attacker was later seen on a surveillance camera coming down the parking structure's stairs and bleeding from the neck. A man who saw him quickly called 911 and alerted authorities. Police arrested John Ganobick and charged him with attempted murder, kidnapping and criminal mischief. The woman he attacked suffered multiple injuries but was expected to be OK.